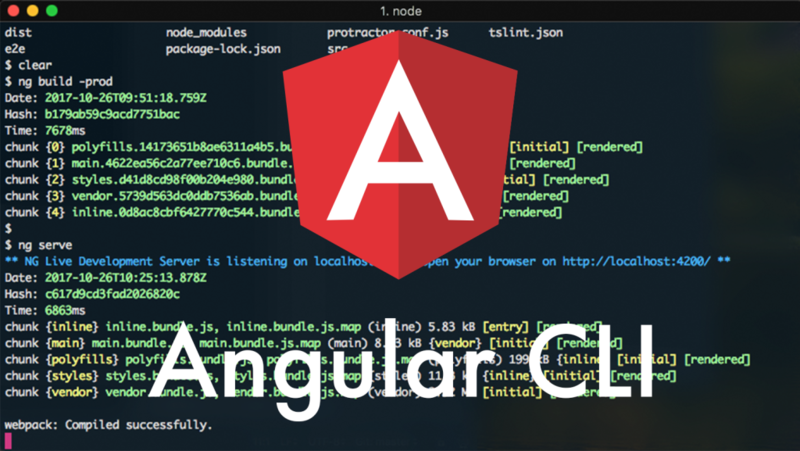 The Angular CLI (command line interface) is a tool to initialize, develop, scaffold and maintain Angular application following best practices. And you are done. Now you are able to create, generate, serve and maintain (test, lint and format) your angular app. The production bundle is created and placed in dist folder located in you project folder. On top of it when you run ng build command with -prod flag, the AOT compilation is in place. No setting needed!